It’s been a while since I’ve shared photos about a craft project. So, when I thought about it for a while, I remember that I started knitting this scarf months ago for a green winter coat purchased last winter. I need to get to work on this if I want to wear it in a couple of months! Thanks to a Facebook post I still have a link to the pattern. 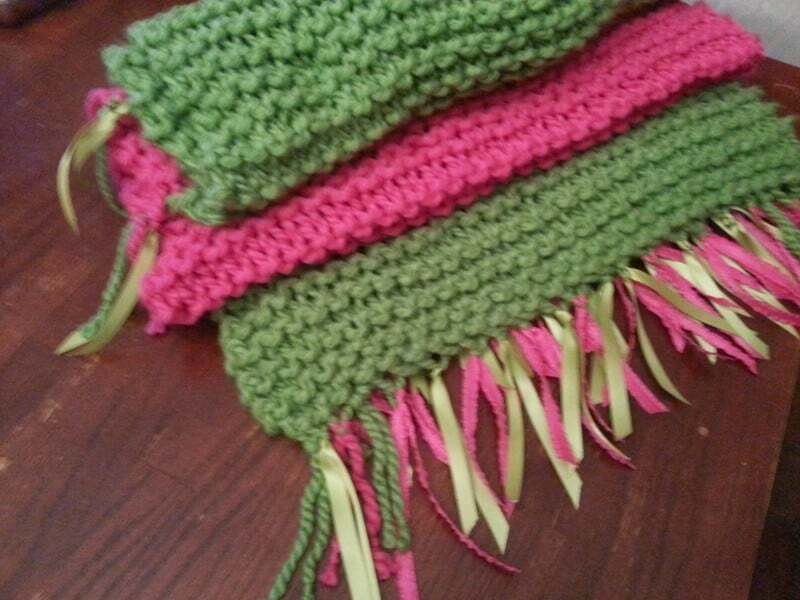 I did manage to finish this pink and green (what was I thinking?) shawl last year and it now hangs over the back of my chair at work for the odd occasion when the air conditioning decides to deliberately attack the back of my neck. 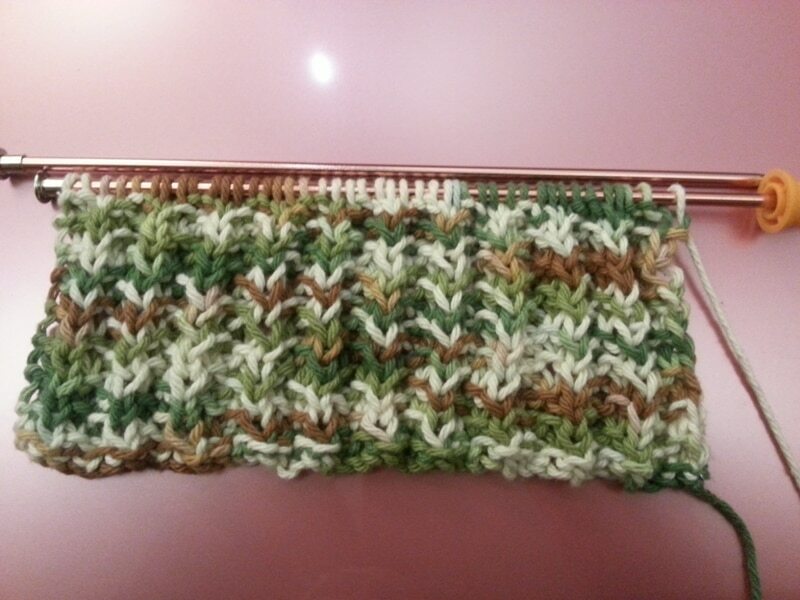 No pattern for this one, just bulky yarn, garter stitch and big needles. 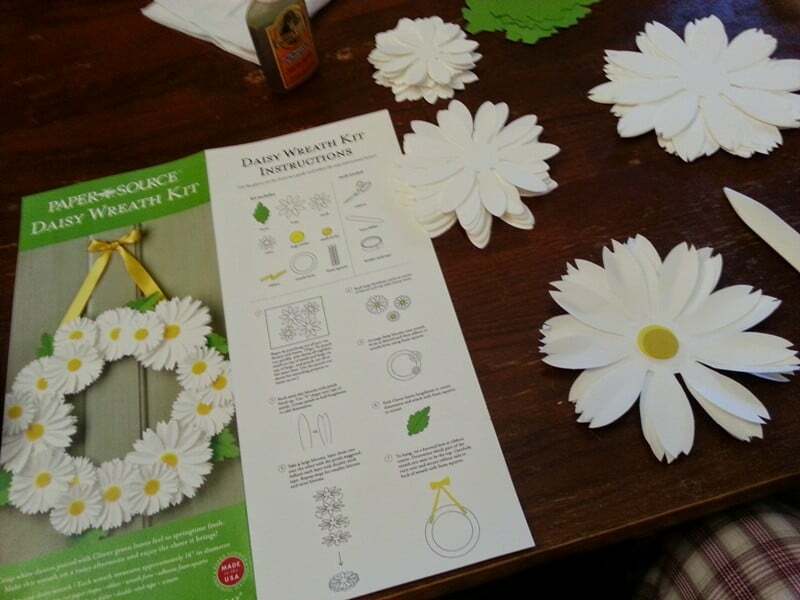 I believe the last time I blogged about crafting was my post entitled: What to do with Yiayia’s doilies? That was a Sharpie, acrylic gesso, doilies and stickers craft project and I got the idea from an art gallery in Saugatauk MI. 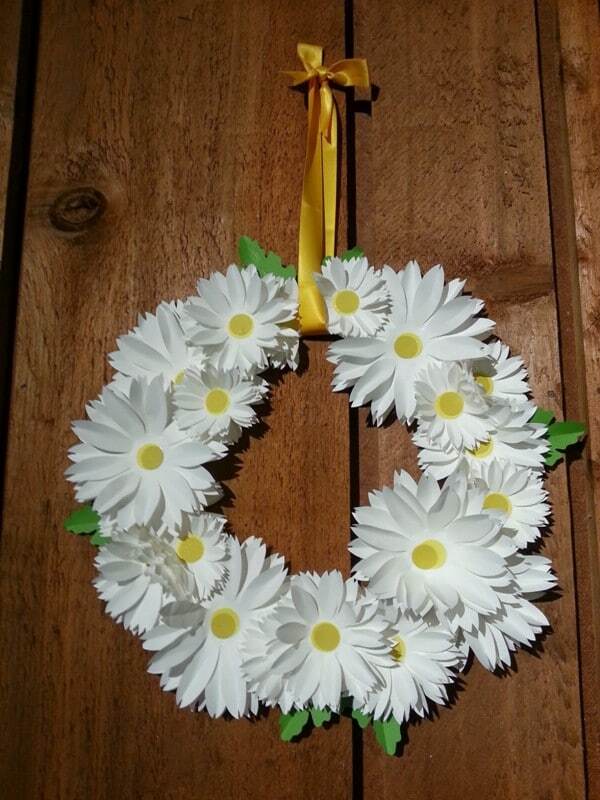 More recently I took a few hours on a rainy Saturday afternoon and made this White Daisy Wreath from Paper Source. The kit came with adhesive foam squares, but I pulled out the acrylic gesso again and used it instead. 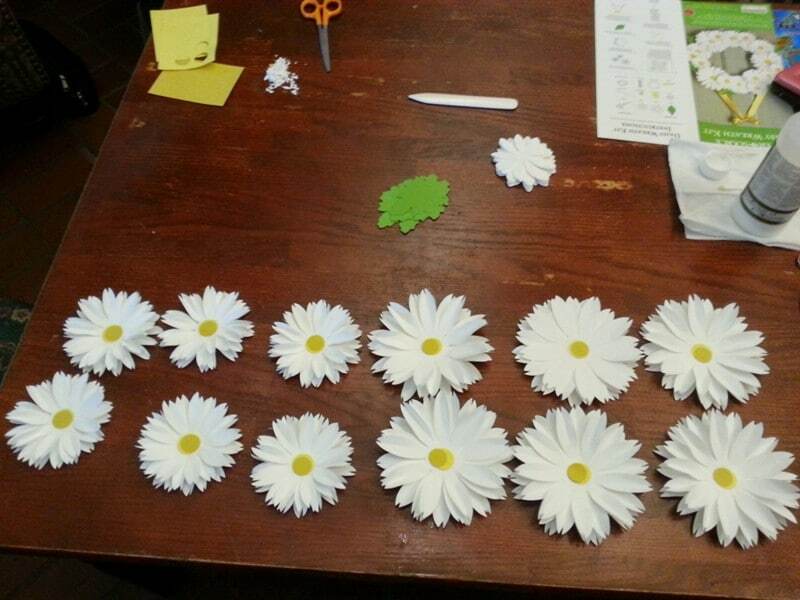 These paper flowers aren’t going anywhere but on the wreath form! I’m pretty happy with the outcome. Do you craft? What are you working on right now?